Recently, the Bengaluru-headquartered Navratna PSU, Hindustan Aeronautics Limited (HAL), posted a decline of profits during the third quarter ending December 2018. The profits on a stand-alone basis were lower by 17.02 per cent at Rs 455.19 crore as against Rs 548.59 crore recorded in the same period last year. The recent dip in profit margins indicates that all is not good with the finances of this government undertaking. There had been media reports that HAL had to borrow Rs 1,000 crores during the last quarter to pay the salaries of its employees as the Indian Air Force (IAF) had not paid the PSU around Rs 15,000 crores and it was stuck with the IAF. Though experts say that the order book of this PSU is full, the government should act quickly and streamline procedural systems at HAL so that the company's finances are not constrained and it is able to use the money for development work as well as paying the salaries to its employees without any hassle. “Such kind of issues were unknown in our times and never have there been any financial stress on the organisation even during the economic slowdown. I feel it is a temporary phenomenon and things will be sorted out soon. The government is not short of funds and non-payment by the Air Force is only a procedural issue which will be sorted out soon. The HAL, otherwise, is a very professionally run organisation which works very systematically unlike the other government PSUs. The company has a well laid procedures and is very well structured. Currently, the order book position of the organisation is full and the overall condition should improve shortly,” Ashok Kumar Saxena, the former managing director of HAL Bengaluru told THE WEEK. Saxena denied the media reports on HAL having an excess workforce and said that the workforce is in parity with the order book the company receives. “During the more than a three decade stint at HAL, I had witnessed the streamlining of HR procedures at the organisation. The organisation has systematically cut down its workforce to less than 28,000 people. All the non-core functions such as canteen and the transport functions have been outsourced. With a turnover of more than Rs 18,000 crores with a full order book, the staff is very productive. Nowadays, even HAL is outsourcing a lot of work to different companies,” added Saxena. 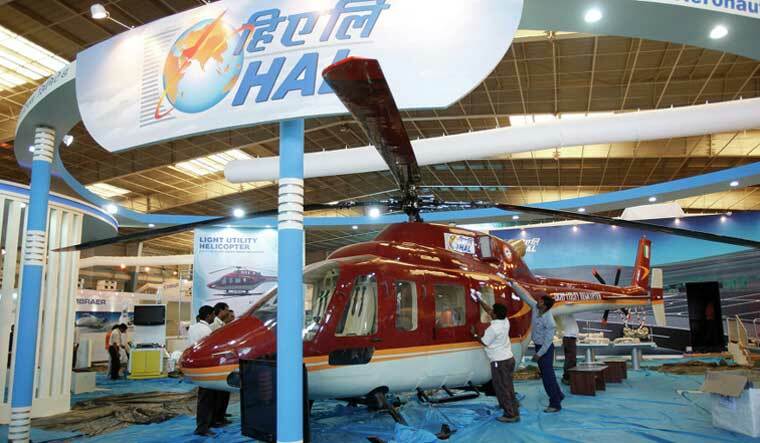 The former managing director also differed on the opinion that the HAL is facing any financial issues. “The government has enough money and there is no dearth in the allocation of capital for acquisition requirements for the company. Once the IAF releases the payment to HAL, things are likely to become normal for this PSU. It is a known fact that HAL is the only end-to-end manufacturer of aircrafts in the country with a legacy of more than 70 years. Even if some private players such as Reliance do some development work, it is not end-to-end and they may be only developing certain components of the aircraft,” remarked Saxena. Saxena also opined that though the discussion on the Rafale deal started many years back, now is the time when HAL should have got the contract. “There was a deadlock and the contract could not be signed. There were issues with regard to the man hours that HAL would take to finish the job and guarantees to be provided by Dassault Aviation. These issues could have been solved in the early stages of discussion. HAL would have matched the man hour issue as Dassault would have taken time to develop the jets in France. If everything had been facilitated smoothly, we would have got the first Rafale jet now,” said Saxena. Aviation expert and senior journalist Kestur Vasuki observed that besides other requirements, HAL requires around Rs 500 crore every month for payment of salaries to its employees. “The IAF, who is their biggest customer, has not released the money and hence it is not supporting them. In order to have better finances, the government should step in and save this Navratna PSU from any financial mess and should streamline processes so that the money can be released soon. This money is required by the PSU to complete its order book and to run its operations smoothly. Besides this, there is also a fraud that happened in HAL in Odisha pertaining to certain employees and contractors that is being investigated by agencies. This was also partly responsible for a dip in the company's profits” Vasuki told THE WEEK. Vasuki said that there is no issue of order book for the company. “HAL is currently building LCA jets and they may complete around 6 jets by next year. As far as the Rafale deal is concerned, the government has not discussed this with HAL and eventually has not taken them into consideration,” remarked Vasuki. Another aviation expert, who did not wish to be identified, explained that the HAL is a very capable organisation and has one of the latest machines and equipment. “This PSU is in the grip of government and bureaucracy, and many good people known to me are leaving the company to join private aerospace companies. It is time that the government frees this Navratna from its clutches and let it work freely. I have travelled across the globe and seen many other global aerospace set ups. The HAL is on par with the best in the world. It has the capability but it needs to be channelised properly,” said this expert.